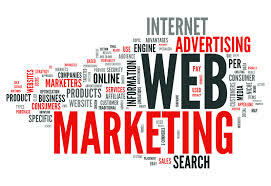 Web marketing or online advertising, refers to marketing efforts that use the internet and email to push direct sales through electronic commerce, together with sales leads from Sites or emails. Web marketing and online advertising efforts are typically used jointly with traditional types of advertising like radio, television, newspapers and also magazines. The internet is constantly innovating. You may be thinking of outsourcing your Web promotion with an expert who is immersed in this world as their fulltime career, rather than attempting to acquire this understanding yourself, and handle the pace of change in-house.